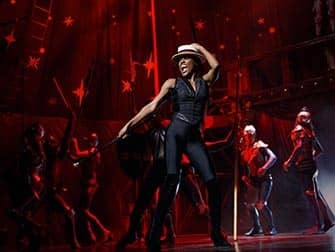 Pippin the musical on Broadway tells the (fictive) story of Pippin and his father Charlemagne whose characters are based on real-life people from the early Middle Ages. The show is a play-in-play, which is why the audience better stay focused. 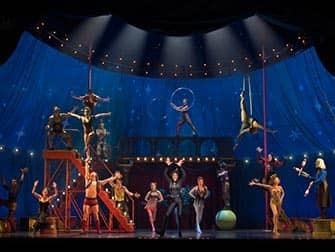 Pippin is the main character of the musical but there is also a leading player of the play that the musical showcases. Are you still with me? It is worth paying attention, though, as this century-old play won four Tony Awards in 2013, one for ”Best Revival”. 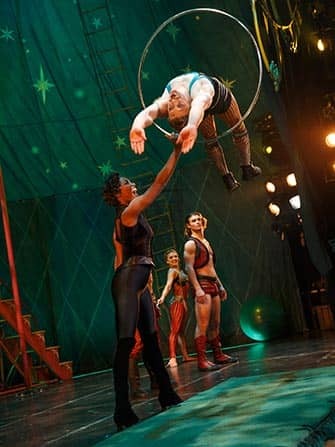 It’s not your average Broadway musical and features a lot of Cirque du Soleil type circus tricks. The subject and storyline are heavy but with the right amount of humour. This musical is perfect if you are looking for something a little different. Prince Pippin is searching for the meaning of life and himself. But that’s easier said than done. His relationship with his father is strained, his stepbrother acts tough and his stepmother is also fed up with Pippin. Pippin escapes to the countryside to visit his grandmother Berthe who gives him wise tip: take life a little less seriously and enjoy it more. 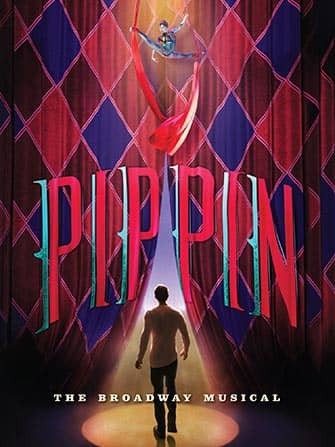 Pippin takes the advice to heart but discovers after various passionate encounters, that he is looking for true love. He gets depressed (again) but this time he looks for consolidation in art and religion. In vain. Luckily he is saved by a young widow and her son Theo. This loving relationship brings a lot of calm but also unease to Pippin’s life and results in a turbulent relationship. If you buy a ticket to this musical you get a circus-show as a bonus. Actors visualise the story by jumping through hoops, with balancing acts and by using fire. This is definitely worth seeing. As is the choreography. It is based on the original 1970’s play and created by none other than famous Bob Fosse. Music is a mix of typical musical songs and more subdued numbers. The original musical was partly sponsored by Motown Records, some of the songs have a Motown vibe. The Jackson 5 and later Michael Jackson covered some of the songs, as did Dusty Springfield and The Supremes. How to buy Tickets for Pippin? It is easy to buy tickets for Pippin with the link below. I recommend buying tickets online before your trip to New York. Why? The website below guarantees great seating in Orchestra or Front Mezzanine for discounted prices. You will save time and money and most importantly you don’t have to stress about finding tickets when you are in New York. A lot of Broadway musicals are very popular and are often sold out.